Petite Planet: St. Patrick's Day Craft: Potato Stamps & More Artistic Fun! St. Patrick's Day Craft: Potato Stamps & More Artistic Fun! In honor of St. Patrick's Day, let's make art with potatoes! 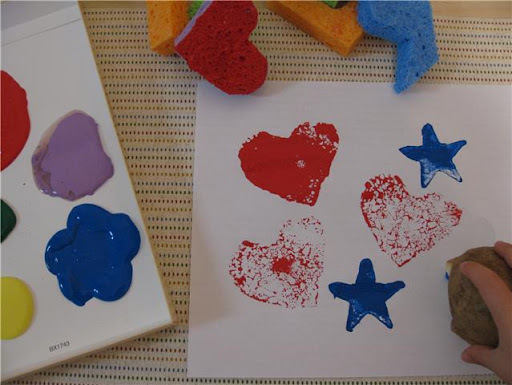 Your Petite Picassos will love creating masterpieces with potato stamps, sponge stamps and marbles as a special alternative to pulling out crayons or markers for art time. Next time your little one wants to celebrate their abstract side, encourage their talents with these quick and easy, delightfully fun craft projects! 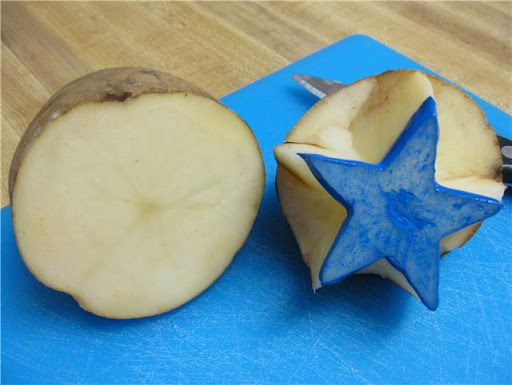 Cut a potato in half, which will allow you to make two stamps. Draw your desired shape onto the surface of the potato using a marker. Cut around this shape with a kitchen knife, leaving the design so it is raised on the surface of the potato. Dry with a paper towel. Pour some paint into a dish and you are ready to stamp! 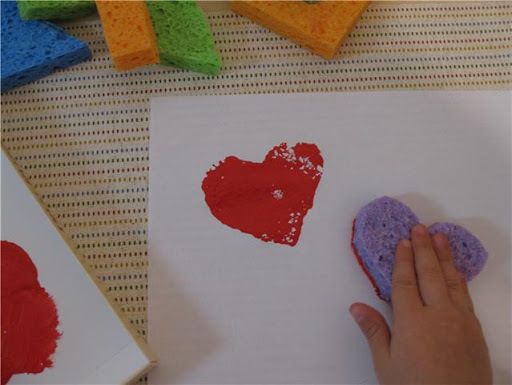 Take any old sponges, and cut them into fun shapes, letters, numbers, or whatever your artsy child prefers! 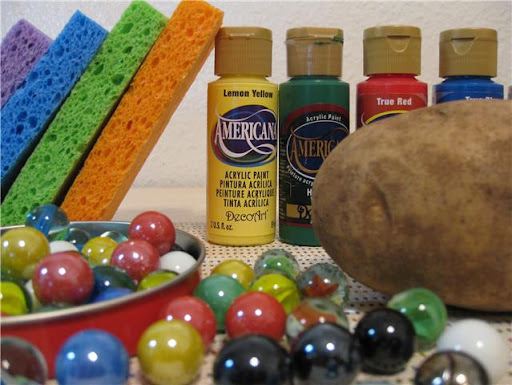 Dip the sponges in your paints and stamp away! Take your box or box lid, secure a piece of paper to the bottom with tape, and have your child choose their paint colors. Squirt a bit of each color of paint anywhere on the paper. Then drop in a few marbles, and have you child hold each side of the box, carefully rolling the marbles through the paint. Allow to dry completely, then pull the paper out of the box and proudly display! Keep these easy ideas in mind and inspire your child to create art in exciting new ways! This post was written by Petite Planet craft contributor, Lisa Lopez.